Today’s game is loosely based on one of the Hindu rebellions. 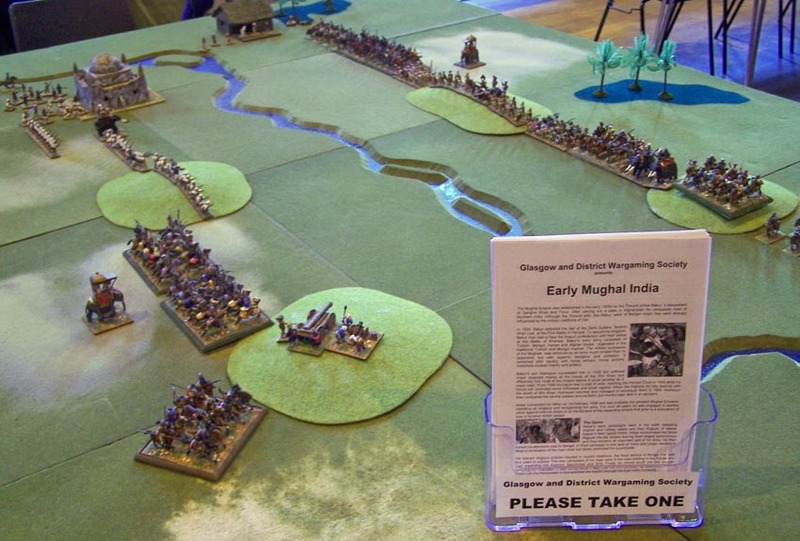 The Mughal army is faced by a typical Hindu army of the mid 16thC. Akbar’s son Jahangir ruled the empire from 1605–1627 and attempted to simplfy the increasingly complex army structure without success. Rebellious provinces became a law unto themselves and the army gained a reputation as being fierce but indisciplined. 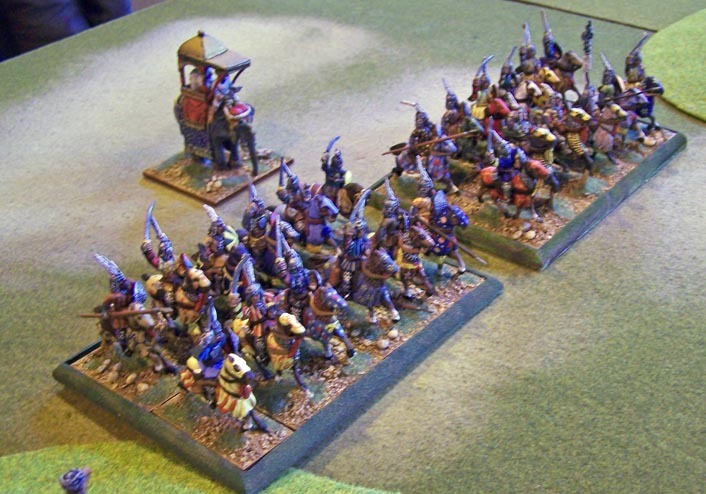 The rules used in this demo are Warhammer Ancient Battles (WAB). Whilst this is a little out of their time period they are a better fit than the later WECW. 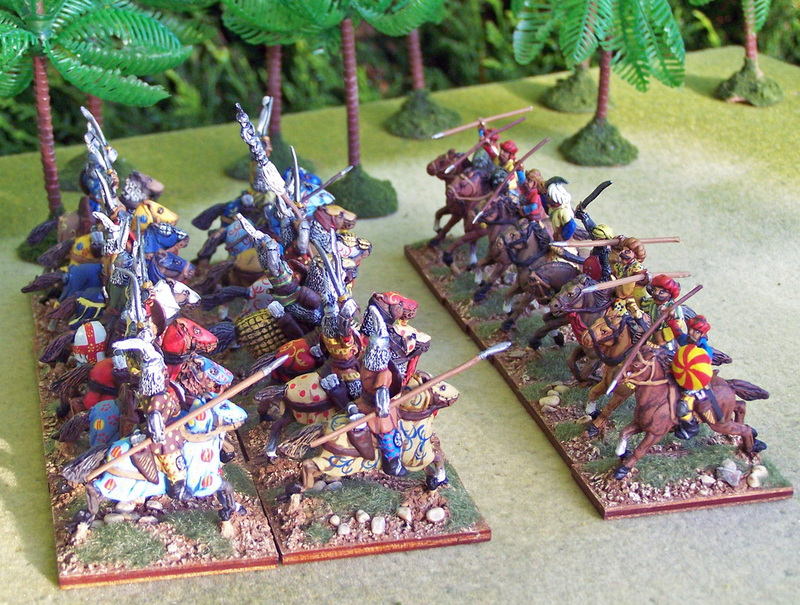 There are several special rules in the army lists but most will be found in the WAB supplement Vlad the Impaler. Whilst there are limited historical opponents for a Mughal army outside India (Persian’s mainly), the army does have the advantage of a long shelf life. Most of the figures can be used for the 18th campaigns involving the French and British (led by Clive of India) through Wellington’s campaigns and up to the Indian Mutiny. An excellent narrative history of the period is ‘The Mughal Throne’ by Abraham Eraly. For more on the army the must read title is ‘Mughal Warfare’ by Jos Gommans in the Routledge ‘Warfare and History’ series. 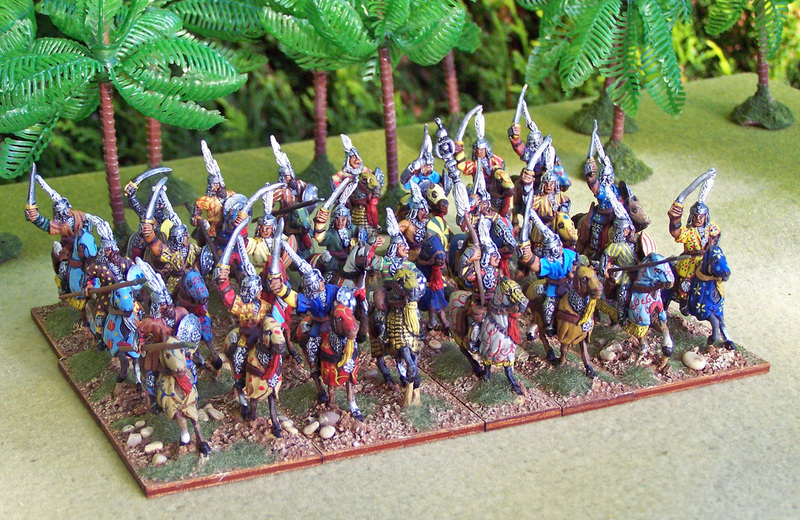 For the fine detail The Army of the Indian Moghuls by Wiliam Irvine (Delhi 1994) and last but not least Osprey MAA 263 Mughul India 1504-1761 by David Nicolle. Sadly out of print and not easy to find. Osprey Fortress 51 Indian Castles is just before our period but is a great introduction to castles and siege warfare in India. A more detailed article and army lists for WAB is scheduled to appear in a forthcoming edition of Wargames Illustrated.